Khumjung and so it’s off to find the bakery and a good cup of coffee. 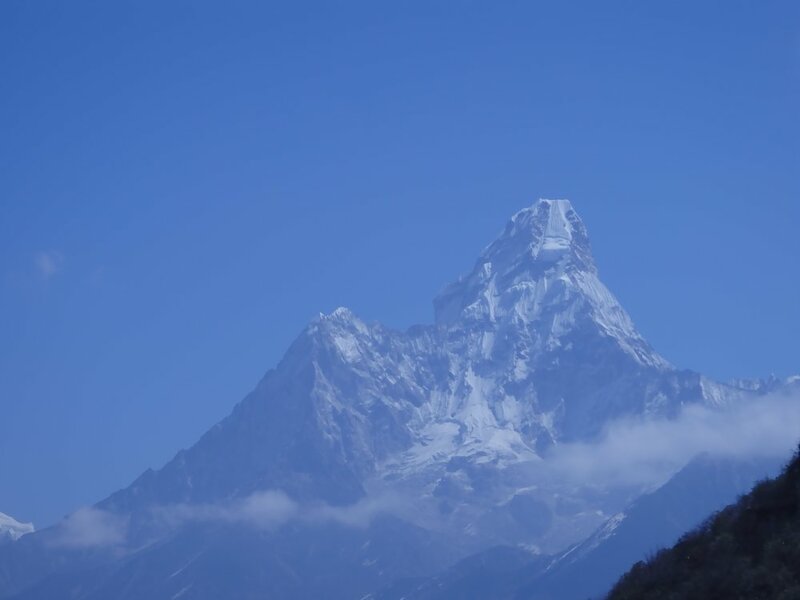 The first view of Ama Dablam appears. Such a gorgeous mountain that I will definitely come back to climb some day (although I have a few others in line ahead). It’s not an 8000er but so classic. We sit around today and just chill. To quote my climbing partner, Annie, “all I want to do is get comfy, take drugs, and chill.” Some people go for short hikes or others, like me, just rest. It’s fun to be back but I remember this is where you begin to get cold all the time and that started again today. A bone chill cold that always seems to be prevalent. “You may be warm now” the cold says, “but just wait. The moment that fire dies or that down jacket comes off, I’ll be back.” But I have an answer for the cold – nice shot of whiskey. Love my flask.